Order in the next 3 hours, 4 minutes an 42 seconds for same day shipping. The wooden graduation cap craft shape is laser cut to show a flawless cap design, great for making celebratory cards. 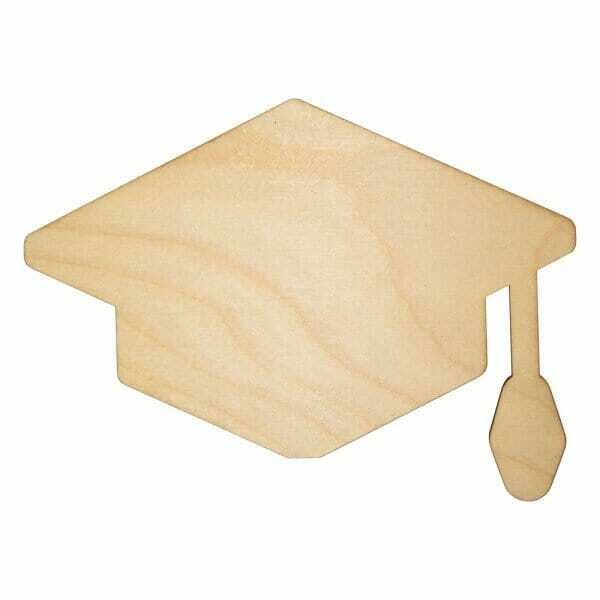 Made from 3mm of Birch wood, the graduation cap comes in different sizes ranging from 25mm to 250mm, giving you the option to choose the correct size to suit your arts and crafts activities. The wooden shape is perfect for glittering, gluing or colouring, adding to the overall effect of your project. Customer evaluation for "Craft Shapes - Graduation Cap"